Lacy J. Davis is a power and olympic lifting coach, nutritionist, blogger (Super Strength Health) and Podcaster (Rise and Resist Podcast). Her work is rooted in feminism, eating disorder recovery, and lifting weights as a way to reclaim the body and turn your nose up at diet culture. Her graphic novel memoir, Ink and Water, is due out Autumn 2017, and she is in the process of opening up her own body and gender affirming gym, Liberation Barbell. In this episode, Lacy shares openly and honestly about her eating disorder recovery, and recovery from exercise addiction. 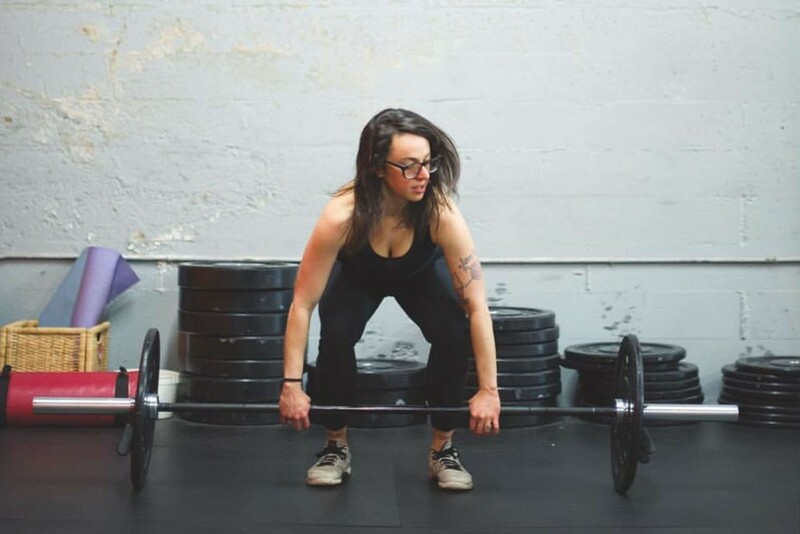 We talk about her love of weight lifting, and why she sees lifting weights as a spiritual practice. She digs into the harm of diet culture, and why she pushes back against marketing tactics that promote “guilt-free” snacking and other shame-related eating beliefs. All in all, this is a conversation about getting in touch with your intuition, finding your voice, and pushing yourself to grow without pushing too far.